Sure, for those NFL fans out there, it’s safe to say that the game between the St. Louis Rams and the Buffalo Bills probably isn’t the most intriguing match-up on the board for week 14 of the season. That doesn’t mean that it doesn’t have the potential to be a great betting option though. Both teams have had ups and downs this season so far, but both are sitting with very close records. While the Bills are 5-7, the Rams have a slightly better record due to their tie against the San Francisco 49ers, and they are 5-6-1. Both sides enter this game coming off of a win, as the Bills beat the Jaguars last week, and the Rams surprised the 49ers with a big win. I’m definitely interested by this game, and think it should be a good game all-around. Kickoff is set for 1:00pm EST and the game will be played in Buffalo on Sunday. Rams or Bills? Make your online bet at this bookmaker. The Rams are going to need to pound Steven Jackson in this one, as the Buffalo run defense definitely isn’t great. I think that Sam Bradford has shown some great improvements this season as well, and that he could be headed in the right direction. Jeff Fisher has Rams fans believing yet again, and while I’m not expecting them to be a playoff team this season, I wouldn’t be surprised to see them back in the mix in the upcoming seasons. The Rams defense has been big the past few weeks also, and rookie Janoris Jenkins seems to continue to find the end zone. Buffalo has worked their run game well recently also with C.J. 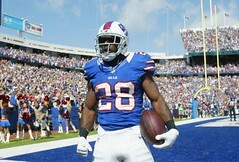 Spiller having some big games, and Fred Jackson returning from injury to be solid as well. Expect Spiller to get a whole lot of touches here, but for the Bills to still test the Rams’ secondary also. The Bills haven’t lived up to the playoff expectations that they had to start the season, but fans are still on board for the future of the Buffalo Bills in my opinion. It’s time to make your bet! BET ON THIS GAME HERE! The home Bills are -3 against the Rams on Sunday. This is a tough one to call, and the Bills are getting the edge in the starting line because of the fact that they are on their home field. When the Bills offense gets rolling it really gets rolling, but I think that the Rams are playing with a lot of confidence right now after beating the Niners’ last weekend. 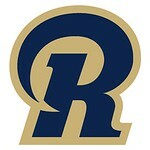 Expect a back and forth game here, but in the end I’m going with the Rams to pull off an upset. While betting on them to win gives solid odds, I’m going to play it safe and take the three points, because I definitely feel good about them being able to lose by a field goal or less here. Let’s roll with the Rams and the points, who are coming off of two wins in a row, including a big upset against that strong 49ers defense. Our betting pick is the Rams +3.